Most of us have a sweet tooth. Better still, we all know of a friend or colleague who would face off a Dementor for a slice of chocolate cake (*cough* Dani *cough*). I mean, who does not love cake? Cake is the celebratory dessert that we all make exceptions for in our diets. Now imagine cake mixed with some magic from the Harry Potter franchise. This is exactly what Night Kitchen Bakery are doing. Based in Pennsylvania, USA, the Night Kitchen Bakery have combined their love for all things sweet and delicious with a dash of magic from J.K. Rowling’s Harry Potter franchise . The results have left many Muggles ‘stupify-ed’. What is most incredible is how the Night Kitchen Bakery has captured some characters. Given the extraordinary sculpt work and designs, I am positive that the pastry chefs, Jackie and Jenna, must have dabbled a bit in the dark arts to create cakes such as these. 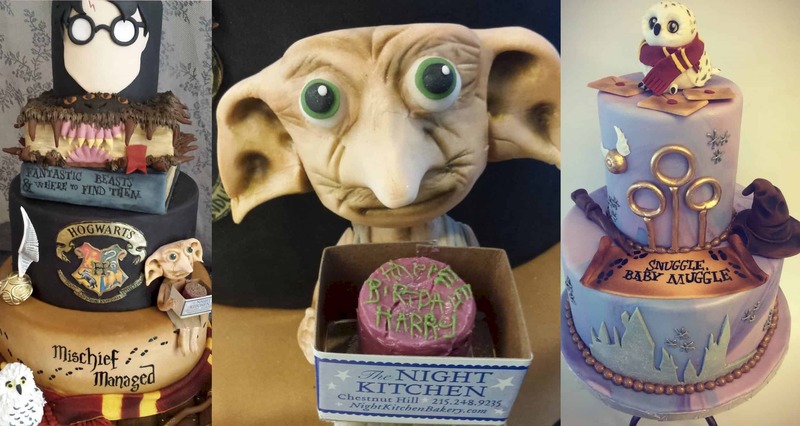 In addition to Harry Potter, the Night Kitchen Bakery have also created cakes based on Star Wars, Game of Thrones, a variety of Superhero’s and even The Hobbit. Excuse me whilst I dream of smashing one of these into my cake-hole. If you take a closer look at this gorgeously tiered cake, there is a miniature Dobby sitting on the edge holding the crooked cake that Hagrid baked for Harry’s birthday. Now that our Harry Potter needs have been met. Have a look at the following absolutely gorgeous designs from a host of other properties in the geekosphere. Be sure to check out the rest of the talented creations on the Night Kitchen Bakery’s Instagram. Which Harry Potter themed treat from above is your favourite? Let us know below.